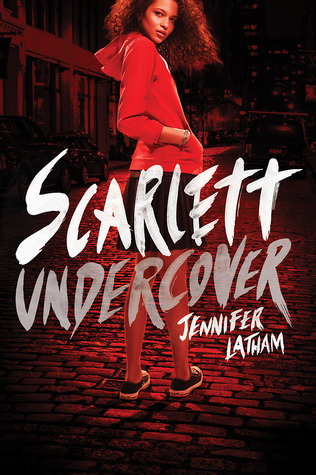 Scarlett Undercover by Jennifer Latham, another nominee for the 17-18 South Carolina Young Adult Book Award, is advertised as being perfect for fans of Veronica Mars. Well, I don’t know about that–given that I’ve never seen Veronica Mars–but it is an entertaining YA mystery which features an intelligent, brave, and snarky Muslim American heroine. Let’s dive in, shall we? Scarlett, a brilliant teen who graduated early from high school, is a private detective in Las Almas. Following the deaths of both of her parents, Scarlett lives with her sister, Reem, a dedicated medical student. Both young women are trying to do right by their parents’ memories. For Reem, that means becoming a doctor. For Scarlett, that means helping others and trying to figure out who may have killed her father. When young Gemma Archer seeks out Scarlett’s help, Scarlett is a little reluctant to take the case. How could she possibly prove that Gemma’s older brother, Oliver, was somehow involved in his friend’s suicide? But there’s something about Gemma’s concerns that draw Scarlett in, so she decides to investigate. She couldn’t possibly know that she would uncover a possible cult or a weird connection to her own family. As Scarlett’s investigation continues, she realizes she’s close to uncovering some pretty dangerous secrets–secrets that people are willing to kill for. She’s being followed, and this case could be putting the people Scarlett cares about in harm’s way. So what does she do? Does she cut and run, or does she follow wherever the clues lead her? Well, Scarlett’s been accused of being stubborn in the past, and that hasn’t changed, so she’s in this for the long haul. Scarlett is growing closer to solving this whole sordid mess, but what could it mean for her faith and her future? What ancient evil could be unleashed if she doesn’t succeed? Will she be able to solve this mystery and keep her loved ones safe? Answer these questions and many more when you read Scarlett Undercover. While Scarlett Undercover kept my interest, this book was not without its flaws. Allow me to highlight just a couple. The book didn’t provide a ton of background information before jumping right into the action. I actually wondered if the copy of the book I was reading was missing a prologue or something. I’m not a fan of books that begin in medias res, and that’s what this book felt like. It would have been nice, in my opinion, to get the full story of how Scarlett came to be a teenage private detective before the major part of the story started. Another issue I have with Scarlett Undercover is the lack of character development. We know a fair amount about Scarlett since she’s the protagonist, but what about all of the secondary characters? Scarlett has a sister, a love interest, a helpful cop, a guardian angel, and so many other people in her life. I’d like more information on all of these people, but I especially want to know more about Scarlett’s relationship with her sister, how she met Decker and how their feelings for each other grew over time, and even her early family life with her parents. And that’s not touching on a lot of the other players in this mystery. We don’t even get to know a ton about the villains, and that is a tragedy. 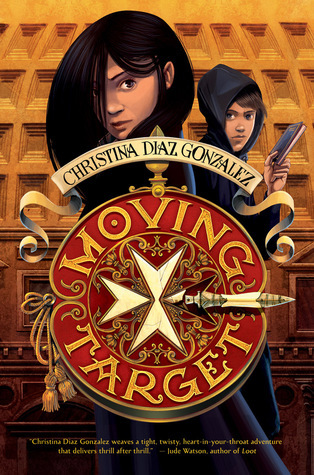 Even with those faults (and a few others that I haven’t addressed), I do love that this book features a Muslim American heroine. I think readers of all faiths (or no faith) will find they have a lot in common with Scarlett, whether or not they happen to be Muslim…or a teenage girl who solves crimes. Maybe those commonalities could be starting points for finding common ground in areas other than YA literature. One can hope. To learn more about Scarlett Undercover, visit author Jennifer Latham’s website. You can also connect with the author on Twitter and Facebook. This entry was posted in books and tagged genies, mystery, private investigators, secrets, supernatural, young adult.